I love wearing a nice, classy, J.crew-esque outfit! 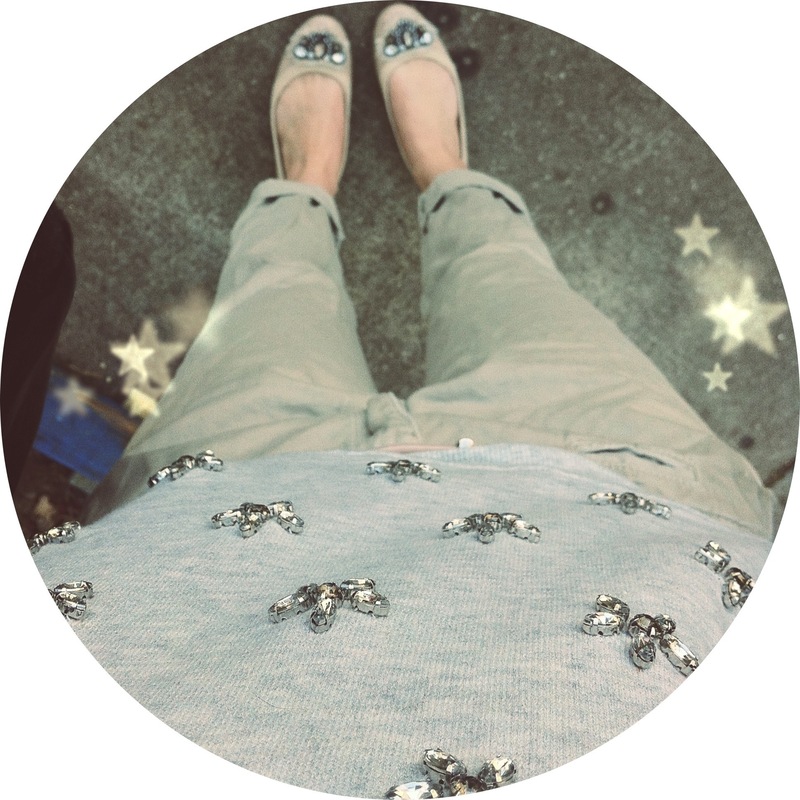 Here I paired a gemstone clad sweatshirt with boyfriend fit chinos. I added a sequined collar dickey (not shown) and gemstone flats to add more feminine flair! Super comfy and chic. Step 1: Go through your closet and pick out anything you haven’t worn in the past 6 months to 1 year. Make sure everything is in decent quality and has no stains. Step 2: Go through your accessories and pick out anything you haven’t used in the past 6 months to 1 year. This means all jewelry (earrings must be on its original hang tag) belts, scarves, purses, and shoes. Step 3: Fold everything neatly in a large tote bag or shopping bag. Step 4: Take to your nearest Plato’s Closet and get cash for your clothes and accessories on the spot! I’ve found that they’re a little picky when it comes to shoes and dresses. However, I typically get around $20-$30 whenever I go there. I also frequently go there for quick events, like holidays, to pick up a quick dress for under $10 instead of spending $30 at the mall for something I’ll only wear once! And usually, they’ll buy it back after you’ve gotten your use out of it! Plato’s Closet is also a great place to go shopping for quick trends you know won’t be in style for long or for anything in general! They carry tons of Forever 21, Hollister, American Eagle, Abercrombie, Juicy Couture, Charlotte Russe, and brands from Urban Outfitters. Dresses and skirts typically run $6-$10 dollars and shirts and tank tops $6-$12 depending on brand and style. Shoes are around $10-$20, same with jeans, leggings, and sweaters/blazers/sweatshirts. It’s a place that anyone can bargain shop and I promise you’ll find some great steals! If you haven’t been there yet, I definitely recommend you try it out!